Dublin hasn’t been chosen in over 20 years. IRELAND AND CROATIA have been successful in their bids to host the European “Capital of Culture 2020″. Each year two cities from two chosen European countries are nominated. Ireland and Croatia have been announced as the chosen nations for 2020. The successful city will have a series of cultural events with a strong European dimension over the year. Ireland will make its designation by mid 2016. An international panel will then assess the proposals according to criteria specified by the European Union. 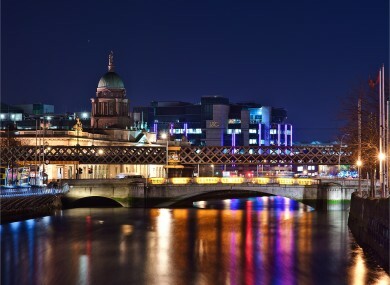 The last time Dublin was chosen as The European Capital of Culture was 1991. It’s an opportunity for the promotion of Dublin as a significant cultural and arts destination on a European scale, it gives our city a chance to shine to a European and Global audience. Email “Ireland a contender for 2020 European Capital of Culture ”. Feedback on “Ireland a contender for 2020 European Capital of Culture ”.